Now's your chance to own an affordable property on a beautiful lake! 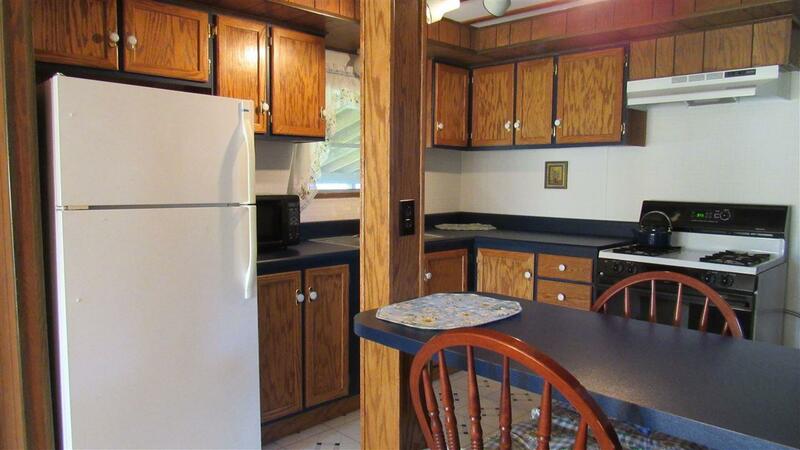 Approximately 40 ft. of lake frontage with actual access to 100 ft. 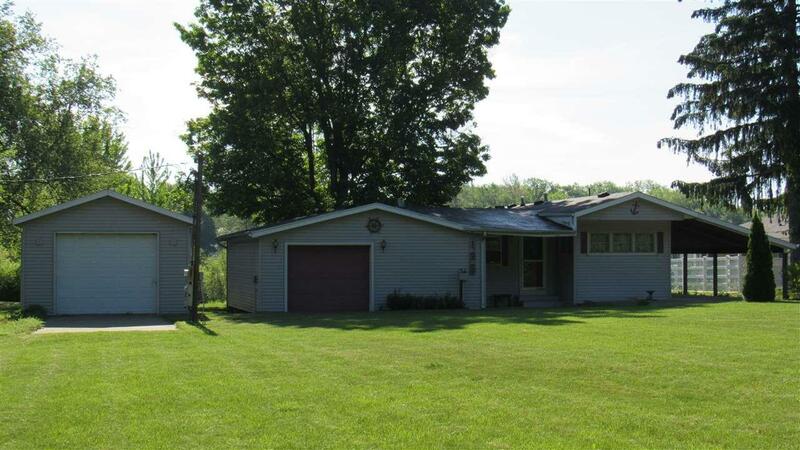 This home sits on almost an acre to enjoy all year long! 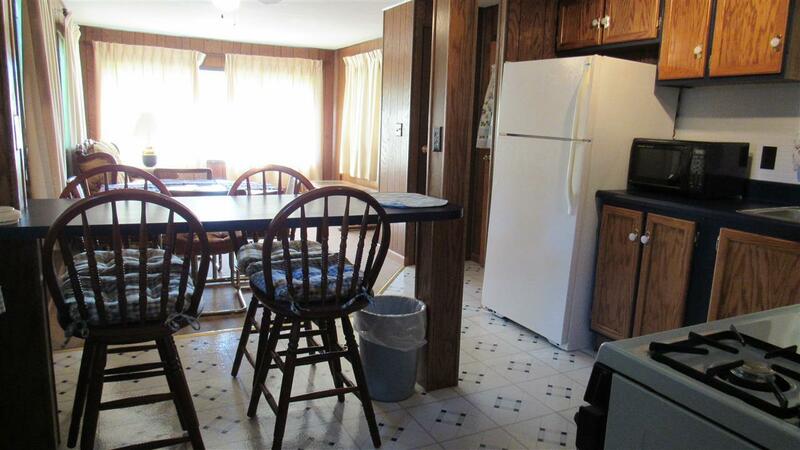 This 2 - 3 BR home boasts a spacious family room, and kitchen with oak cabinets, stove and refrigerator. New pressure tank. Most furnishings throughout the home will remain. Plenty of storage with the attached garage plus a detached garage that was added in 1999. Additional covered patio area (approx. 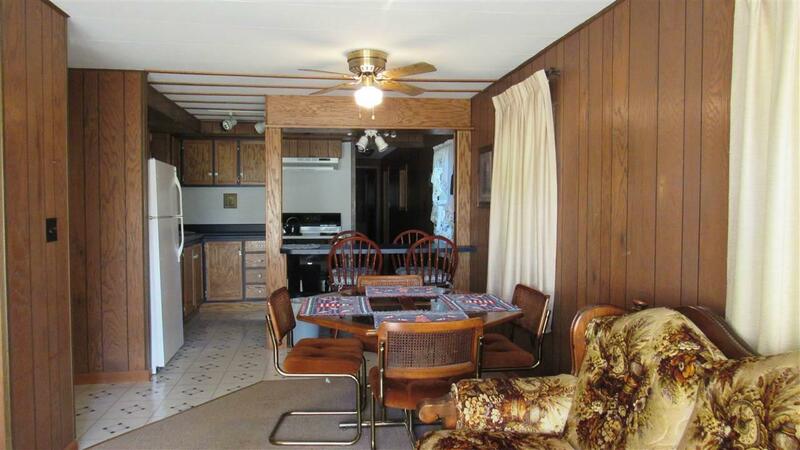 13x60) would be great for entertaining. Gorgeous views all around of an awesome fishing lake. Immediate possession! Listing courtesy of Michelle Snyder of Wible Realty.